98% cotton 2% spandex. Black denim blouse with lace detailing, button up and long sleeves. Imported from the UK. 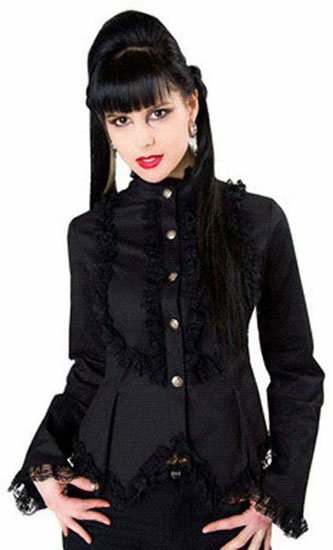 This shirt will make you feel like a dark angel - lite as a feather but durable.